November 28, 2018: Hey, neighbor! May I borrow a cup of sugar? November 12, 2018: Do SkyCop cameras actually reduce crime? October 5, 2018: Hamilton residents took back their neighborhood. Now they’re sharing how to fight crime in yours. 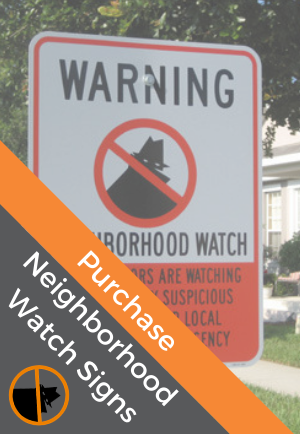 September 28, 2018: Neighborhood Watch Steps Up In Pulaski Co.
September 1, 2018: Are New Bedford’s neighborhood groups a thing of the past? August 31, 2018: Green Bay Police partners with new app for "digital neighborhood watch"
August 14, 2018: New police program asks cab drivers to be "neighborhood watchdogs"
July 5, 2018: Neighborhood Watch Goes Digital in Flagler County, Fla.
April 12, 2018: Communities expanding neighborhood watch to include dogs… and goats? April 5, 2018: Ocean Beach residents learn how to make "citizen's arrests"
March 1, 2018: Neighborhood Watch to the rescue in Miracle Mile! February 9, 2018: Concerns in Big Lake about "vigilante justice"